The voice calling feature was first announced back in April, a couple of months after Facebook acquired WhatsApp for a sum of over $20 billion. Despite a strong development team, the Windows Phone version has continued to lag behind its iOS and Android counterparts. 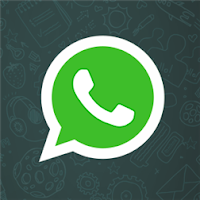 WhatsApp's voice service has to compete against services like Skype and Viber which are well established in the field. The addition of voice calling for Windows Phone is definitely a step in the right direction. The new version 2.12.60 also adds the ability to send audio files to those running Windows Phone 8.1.